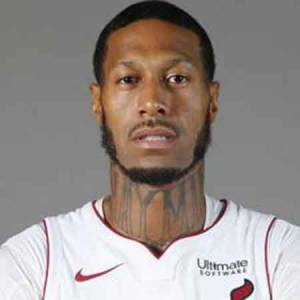 James Johnson is an American professional basketball player who plays in the National Basketball Association (NBA). As of 2019, James Johnson currently plays for the Miami Heat as their Small forward. James Johnson has also played for other teams in the past. As a small forward, James Johnson reportedly earns around $14,431,700 as his yearly salary from Miami Heats. Further, James Johnson has an estimated net worth of over $23 million. As of 2019, James Johnson has an estimated net worth of over $23 million. Currently under a 3 year / $43,295,100 contract with the Miami Heat, in 2018-19, Johnson will earn a base salary of $14,431,700 and an incentive bonus of $220,000, while carrying a cap hit of $14,651,700 and a dead cap value of $29,561,100. The NBA star so far has made earnings of $45,881,087 from his entire NBA career. Kept aside his financial earnings, his personal assets includes a luxurious Home and a car. James Johnson Also earns from various sponsorships. James Johnson is the middle child among nine children. He was also raised to the athletic family. James Johnson's father, Willie Johnson is a seven-time world kickboxing champion. Johnson is also a second-degree black belt in karate and holds an undefeated record in seven MMA matches, while also carrying a record of 20-0 in kickboxing matches. Johnson is a father of two sons, from his marriage to Callie named Harlem and Naymin. The couple was married on July 7, 2012, but later got divorced. Other than being a famous NBA basketball player, Johnson is active on social media and gained quite a number of followers. James Johnson is not only a world-class athlete but also has a very attractive individual. The Famous NBA star measures 6 feet 8 inch / 2.03m in height and weighs around 240 lb / 109 kg. Johnson has also inked the name of his son, Naymin on his neck. James Patrick Johnson was born on February 20, 1987, in Cheyenne, Wyoming, United States, to father Willie Johnson and mother Vi Johnson. As per his nationality, he is American and belongs to an African-American ethnic group. Further, his star sign is Pisces. He grew up along with his six brothers and two sisters. Johnson attended Cheyenne East High School in Cheyenne, Wyoming where he played for his high school basketball team and averaged 28 points and nine rebounds per game during his senior year. After completing high school, Johnson enrolled at Wake Forest University and played for the Wake Forest Demon Deacons men's basketball team. Johnson signed Chicago Bulls on July 8, 2009, after getting selected with the 16th overall pick in 2009 NBA draft. Johnson was assigned to the Iowa Energy of the NBA D-League and later recalled by Bulls. On February 22, 2011, Johnson was traded to the Toronto Raptors and he also played for Sacramento Kings from July 16, 2012. Atlanta Hawks signed Johnson on September 30, 2013, he stayed for a couple of months and later acquired by Rio Grande Valley Vipers where he averaged 18.5 points, 9.1 rebounds, 4.8 assists, 1.9 steals and 3.4 blocks per game. In the same year on December 16, he moved to Memphis Grizzlies. On July 17, 2014, Johnson was again signed by Toronto Raptors, however, he waived the club after the 2015-2016 season. James Johnson made a one-year deal worth $4 million with the Miami Heat. While playing for Miami he scored a season-high 26 points in a 108-99 win over the Brooklyn Nets. At the time skilled players like Brook Lopez, Randy Foye, and many others were opposing him as well as his teammates like Rodney McGruder, Hassan Whiteside, Wayne Ellington. 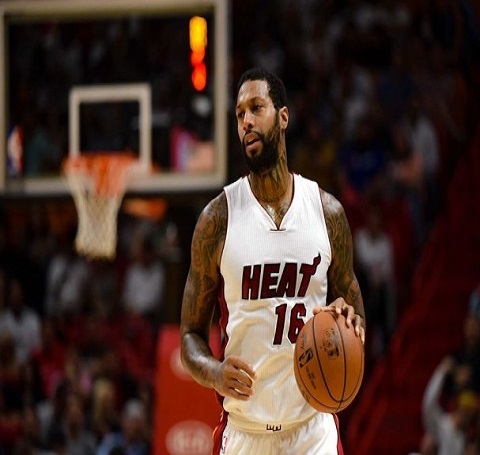 Miami Heat later extended the deal to 4 years with James Johnson.